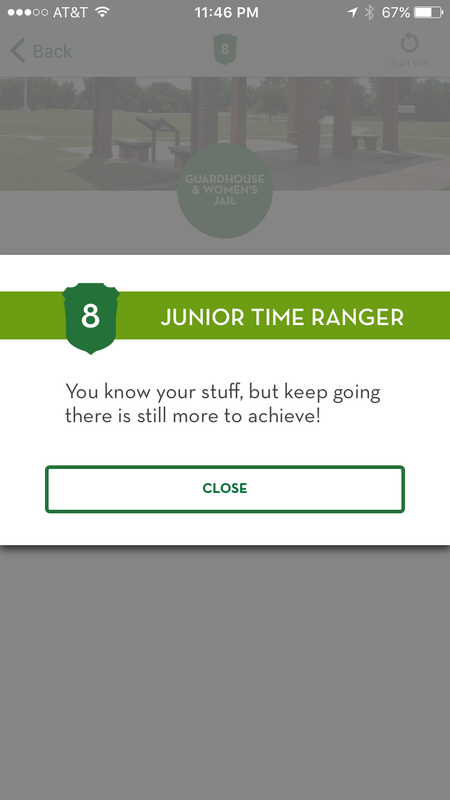 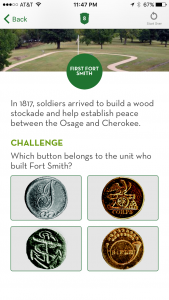 GuideOne recently designed a special Scavenger Hunt module for kids that’s part of the new NPS Places app system. 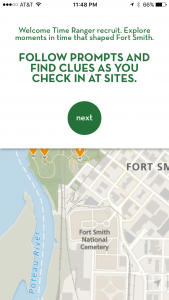 Designed for ages 8-16, this activity uses a map and sites based UI to encourage kids to explore park sites and to look carefully at the details at each site. 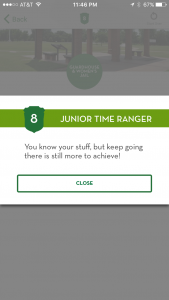 Through an extended prototype and design process, we tested the activity with kids at various parks to refine the structure of questions and answers so that kids could easily engage with it during their visit. 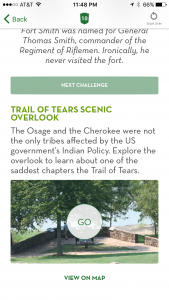 We wanted kids to enjoy the activity but not get bogged down with too much interactivity so that they could focus on the sites they were visiting. 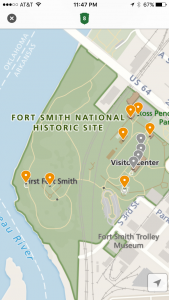 The Places app is a modular template designed by GuideOne mobile for the National Park Service to be used at parks across the US. 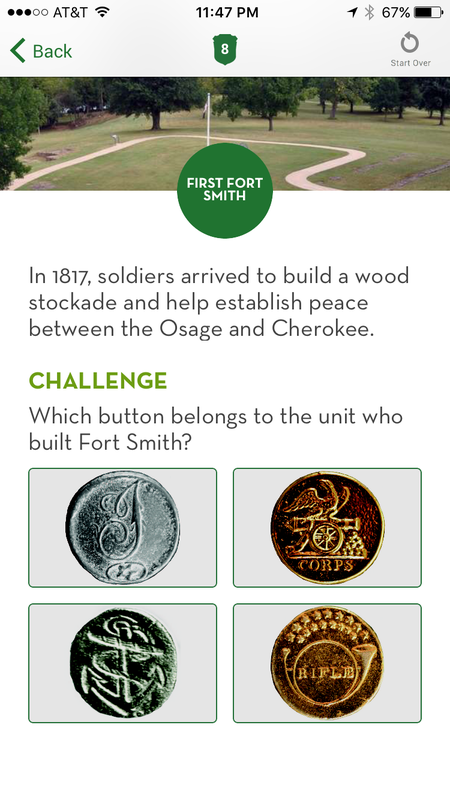 3 versions of the modular app were released in 2015 and 2 of these (Fort Smith and Klondike) used the scavenger hunt module. 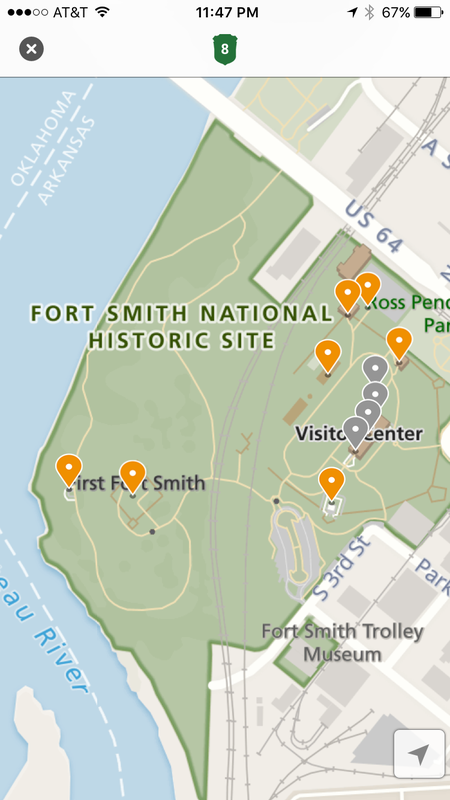 By mid-2016 another 15 parks will be using the template and many of these new apps will also be including a scavenger hunt. 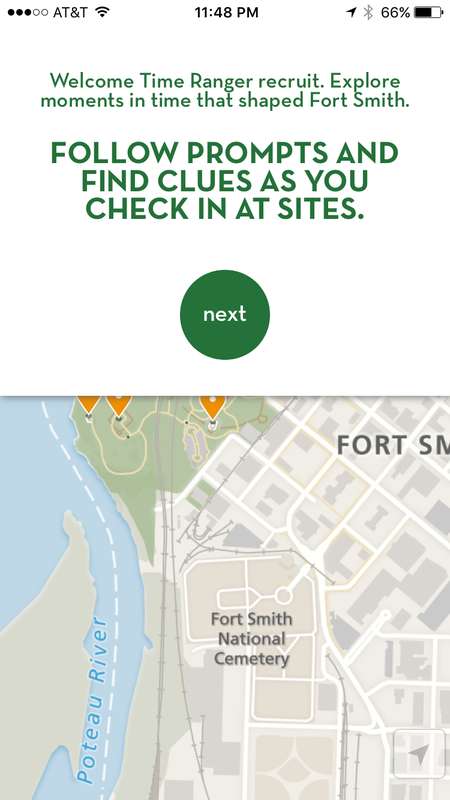 To access the scavenger hunt go to the MAP tab and click SCAVENGER HUNT in the top right.